Use this spreadsheet to keep track of time spent on client projects. This spreadsheet totals up time and billing costs for multiple projects for the same client and can calculate taxes as well. This spreadsheet can be useful if you do not use time tracking and billing applications. If you do it can be used as a backup system and/or as your log which will then be input into a time tracking application. If your clients projects are milestone based you can use this spreadsheet to total up time and costs for each milestone. it will help in creating proposals. I’ll either be able to create them faster or if I take the same amount of time they will look much much better. This product is absolutely worth every last penny." 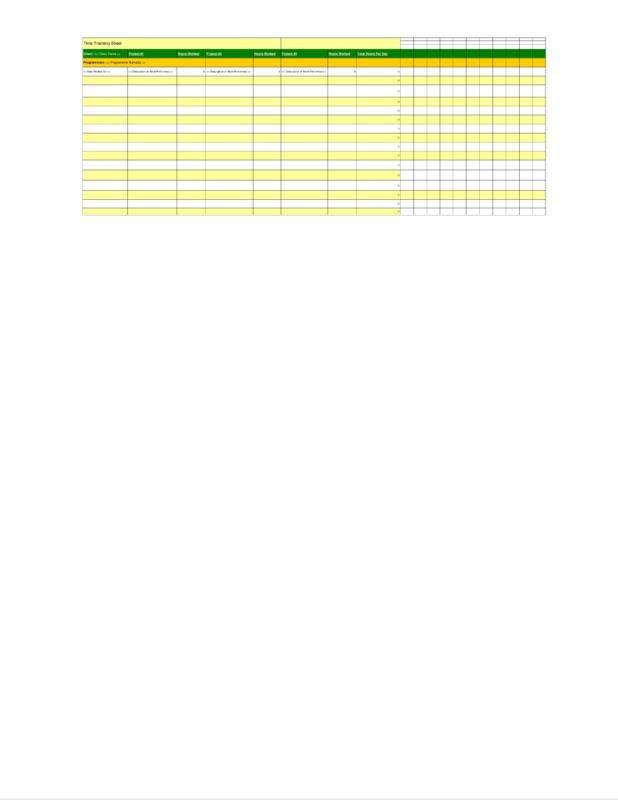 This Work Order Tracking Spreadsheet is included in an editable format that can be customized for your own needs. The editable Work Order Tracking Spreadsheet document - complete with the actual formatting and layout is available in the retail Proposal Kit Professional.